Your online presence is comprised of many different components such as your website, social media as well as third party outputs such as reviews or advertisements. 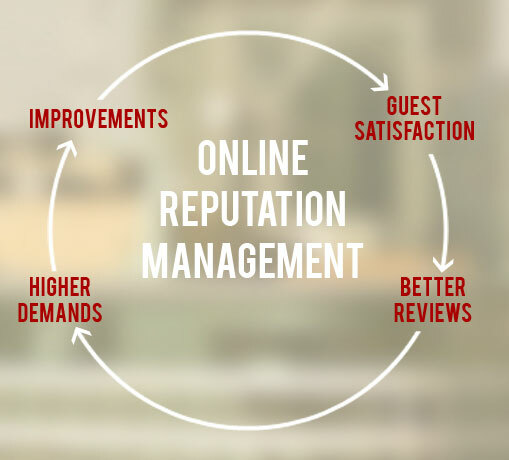 Online Reputation Management (ORM) is the process of controlling how your business is perceived online. This process includes monitoring your presence online and proactivity to change anything if necessary. If your business has little presence online we want to increase and create it, if there is content you want to bury such as unfair negative reviews we will help you create new content in order to drive down any negative content or if you have specific content you want to make higher in search engine rankings we can help you boost them to the top of Google’s results. Further to this, ensuring that your social media platforms and website are a true depiction of your business is also a vital part of ensuring that your online presence is reaching its full potential; it is important to put as much effort into your online reputation as you do in your everyday business actions. At Manzeera Solutions we are up-to-date with the latest advances and strategies in Online Reputation Management (Digitalis Reputation). Contact us today and let us assist you in building the most positive and relevant depiction of you online.